If you’re a gamer then you’re likely familiar with the greatness that is the G Sync Monitor. G Sync Monitors are designed to work with NVIDIA GPUs and are worth the investment for sure. What is a G Sync Monitor? If you aren’t familiar with what a G Sync Monitor is, we’ve got you covered! These monitors use Adaptive-Sync in hardware form that is able to change your screen’s ability to utilize Vertical Blank Intervals. Vertical Blank Intervals is the small amount of time between each rendered frame on your screen where there is nothing to be seen. With G Sync technology, these monitors are able to capture your graphics card’s last frame output and hold it on your screen until the next frame is rendered. As a result of this, your display appears much more fluid, less input lag will be experienced, and your monitor will be more responsive and fast overall. If you’re in the market for a new market, you’ve likely not only seen mention G-Sync monitors but also FreeSync as well. Both of these technologies were designed to improve your gaming experience. Where G-Sync is a technology designed to work with NVIDIA GPUS, FreeSync interfaces with AMD GPUs. FreeSync works to minimize screen tearing, improve overall refresh rates, and may provide you with an improved gaming experience by providing you with more polished and streamlined viewing experience. On the surface, FreeSync and G-Sync sound the same, though they serve slightly different purposes. Read my thoughts on NVIDIA vs AMD. You might think that a monitor is a monitor, but with the advent of technologies such as G-Sync, you couldn’t be more wrong! Where standard, older monitor technology was designed with the everyday user in mind, G-Sync monitors are tailored to the more discerning gamer market. G-Sync monitors target users who take high-end gaming seriously. Users who want to reduce screen tearing and lag as much as possible while they play their games. Another obvious difference between these two monitor categories is the price; G-Sync monitors are going to cost you around $200 more at a minimum, and that is for the budget options! The Asus ROG Swift Gaming Monitor is a full HD 24-inch monitor that should not be overlooked. With a one minute response time and a refresh rate of nearly 180Hz, when overclocked, this monitor is no slouch! 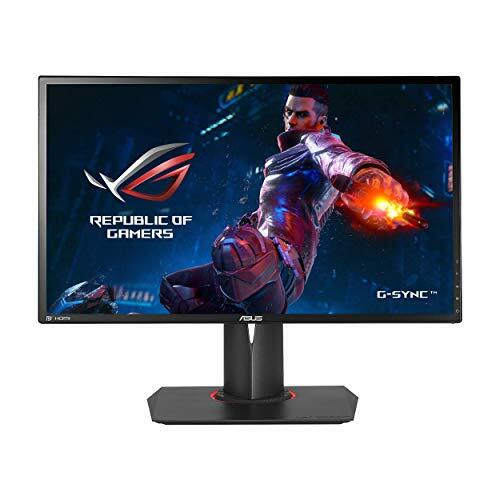 Featuring Republic of Gamers standards, this G-Sync gaming monitor will provide you with a smooth and seamless gaming experience while minimizing screen stutter and tearing. The G-Sync technology in this great monitor syncs up with the refresh rate of the monitor, thus eliminating visual lag. This monitor also features a nifty power saving feature which results in power usage of less than half a watt! Also, a feature of this monitor is Asus’s eye care technology which makes those taxing marathon gaming sessions less demanding on the eyes, resulting in a much more enjoyable gaming experience as time goes on. In order to accommodate whatever ports your PC has, this monitor features HDMI, display port, and USB inputs. The Dell S2417DG YNY1D Gaming Monitor is another great G-Sync monitor for your consideration. This amazing display offers you crisp and beautifully clear images, all due to the great QHD resolution. 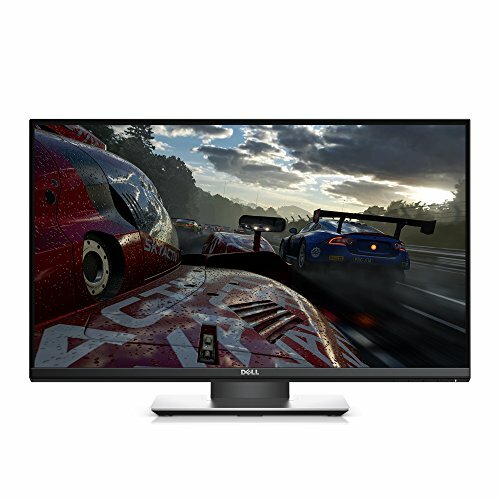 With double the details available over that of the older, Full HD technologies, this gaming monitor will not only provide you with an enhanced visual experience but an overall better gaming experience. It also features presets for you to choose from which are tailored to your favorite gaming genres. In order to provide you with a more comfortable viewing experience, screen flicker has been eliminated. Similar to the Asus ROG Swift, this monitor offers you a response time of one minute. A unique offering from Dell, when you buy their monitors, is a program they call the Three Years Advanced Exchange Service. With this service, if you run into issues with your monitor, you can have a replacement shipped to you the following business day! The benefits of this are obvious if you are an avid gamer that plays on the daily, as you won’t have to worry about downtime as your replacement monitor gets to you just in the nick of time! To ensure that your monitor works with your computer, Dell has provided HDMI, as well as other input connectors and has also made sure that it is compatible with any Operating System. The LG 32GK850G-B’s QHD display is one you don’t want to miss! With the amazing detail and clarity that this QHD display provides you, your games will jump out from your screen and come to live, as you’ve never seen before! With the G-Sync technology that is included in this amazing screen, visual lag and tearing are eliminated, which results in a much more streamlined and immersive gaming experience. If you are used to a monitor with only a 60Hz refresh rate, you’ll love the 144Hz you’ll be getting from this great gaming monitor! A unique feature of this offering from LG is sphere lighting. With this features, users are able to enjoy a customized LED Sphere light that can be made into any color and has a variety of different lighting modes, in order to provide you with a better gaming experience. With the Dynamic Action Sync technology included, the viewing experience is further enhanced. Another great feature, for the FPS gamers, is a crosshair feature, which can increase your shooting accuracy. This incredibly feature-packed monitor also offers you black stabilizing abilities in order to provide you with an enhanced viewing experience during those dark scenes. With a super slim bezel, this monitor appears to have no borders, which gives the allusion that you are really engrossed in the game! 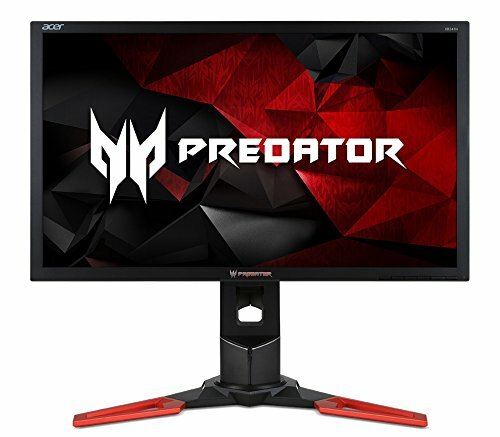 Another great offering from Acer is the Predator XB241H. This full HD monitor is a full 24-inch widescreen display, and features a swivel angle of up to 30 degrees! It features both Twisted Nematic Film, and G-Sync technologies, which go to halt screen tearing in order to provide you with the best gaming experience you’ve ever enjoyed. A pixel pitch of roughly 0.27 millimeters and a response time of one minute are further benefits of this great monitor. 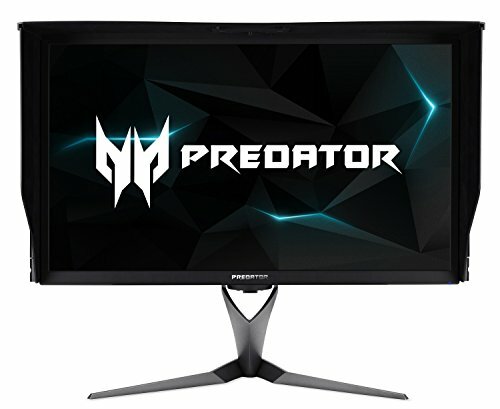 With the Predator’s flicker-less technology, screen flickering is brought to near-zero, which will help to minimize any eye strain you are likely to experience while in the midst of an intense, marathon gaming session. To connect your PC to this monitor, both HDMI and Display Ports are available to you. By default, this monitor offers you an amazing 144Hz refresh rate, but it may be overclocked to the astounding 180Hz refresh rate if you so, please! This monitor also features a height adjustment of nearly 6 inches. 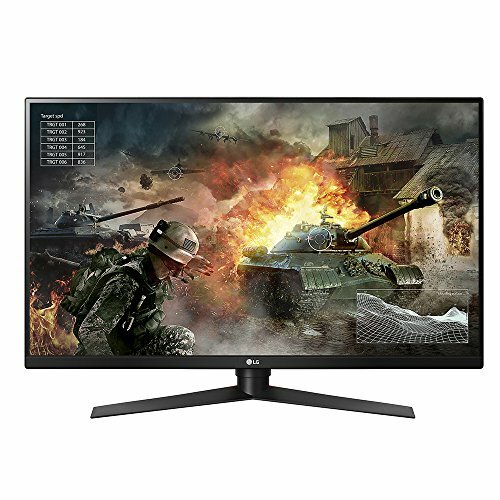 The LG 34UC89G-B Gaming Monitor is another great option from LG, this time with a 21:9 ultra-wide, 34-inch curved screen! Offering you a Full HD viewing experience, this monitor is a great way to truly feel like you’re a part of your game! Featuring G-Sync and Windows 10 native compatibility ensures you get the most bang for your buck. With a response and refresh rate of 5 minutes, this monitor is more than good enough for all but the pickiest of gamers. Like the previously mentioned offering from LG, this monitor also features a crosshair that you can turn on, in order to take your FPS gaming performance to the upper echelons! If you fancy yourself a true gamer, you’re going to love the many extras LG has packed into this amazing monitor! It features quick settings feature in order for you to optimize your viewing experience, on the fly. You can enable Black Stabilization while in the heat of battle, which will kick up the details of your screen while in darker scenes. With Dynamic Action Sync, you will enjoy a truly seamless and smooth gaming experience. From HP, the OMEN X is making a real splash in the gaming market. This 35-inch monitor is HP’s foray into the gaming monitor market, and it is taking the competition by storm! Besides just being an exceptionally large monitor, it is also curved, which further enhances your viewing experience. HP has focused not only on visual detail but also on the comfort of the viewer during long bouts of gameplay. A shutter-free experience and adjustable stand ensure you have the best view possible. With a 100Hz refresh rate, this G-Sync enabled monitor will guarantee your gaming experience goes uninterrupted! 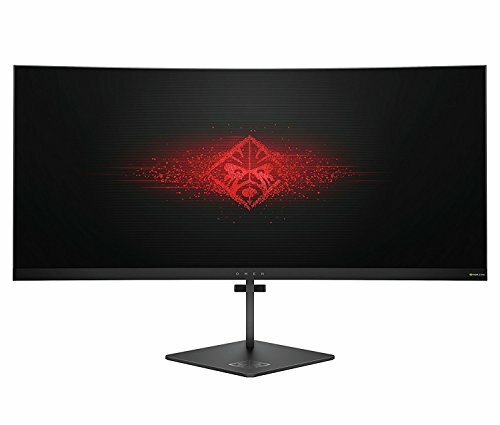 This monitor has the ability to adjust the ambient lighting, which goes to lower the brightness of your screen when in a dark room, which improves the gaming experience during those long gaming sessions. 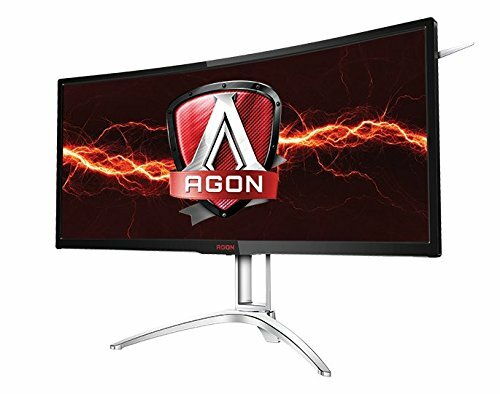 The AOC Agon AG352UCG6 is another great monitor, that’ll have you feeling truly immersed in your games! With a curved screen and 35 inches of real estate, you won’t miss a thing with this amazing screen! With the G-Synch technology included in this gaming monitor, you will be sure that your viewing experience is exceptionally fast, incredibly responsive, and seamless. You’ll notice no visual lag or screen tearing with this screen! The 3440 x 1440 UltraWide QHD display provides you with a viewing experience so crisp and detailed, you’ll think you are right in the game! Some other great features of this amazing monitor include a headset holder which is completely retractable and colored LED lights that are customizable to your preferences. AOC hasn’t forgotten the marathon gamers and has included flicker-free technology in this monitor which helps to minimize eyestrain. With this thoughtful tech, your monitor’s brightness is adjusted on the fly with a direct current backlight. To further reduce eyestrain, this monitor also has a low blue light mode feature which cuts down on blue light. 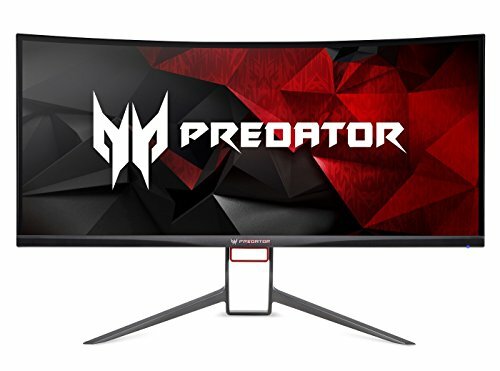 Another offering from Acer’s Predator line of gaming monitors is this 34 inch, ultra wide, and curved QHD behemoth! Due to the curvature of this beautiful screen, you’ll feel absolutely immersed in your games. This monitor is the first curved monitor to feature NVIDIA’s G-Synch technology, which reduces the occurrence of visual lag and screen tearing. Due to the curved screen, your eyes are able to maintain an even distance from it, which eliminates blind spots and provides a more cohesive experience. This 60Hz screen has the ability to be overclocked to 100Hz, which gives you a super quick and smooth gaming experience, free of any annoying motion blur. With the Flicker-free technology featured in this monitor, you’ll feel comfortable no matter how long you game in front of this screen. Another great eye-saving feature included with this monitor is a blue-light filter, which cuts down on eyestrain. The X27 from Acer’s Predator line of gaming monitors is another great gaming monitor for your consideration. With a resolution of 2840 x 2160, the details really come to life with this extremely crisp screen. At baseline, this monitor offers you a refresh rate of 120Hz, but when overclocked you can enjoy a 144Hz refresh rate while utilizing the display port input. With G-Sync, you can be sure that lag and screen tearing is a thing of the past! With resolution set at 4K, you’ll enjoy a refresh time of nearly 4 minutes. With eight different preset display modes available to you, you’ll have to ability to optimize the settings of your monitor depending on what sort of content you are viewing at the moment, be it a game, movie, or word-processor. 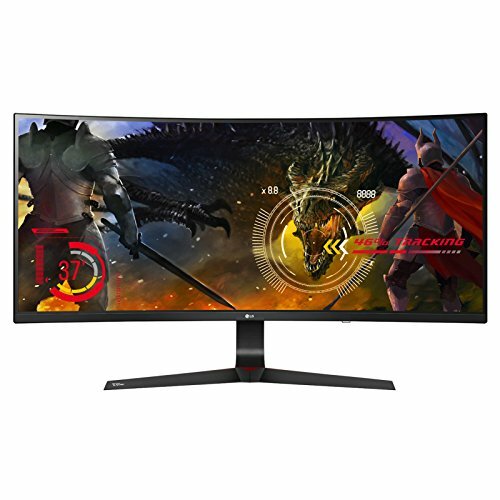 If you want to get the most out of your time gaming, this monitor will offer you the most you can expect to gain from a gaming monitor, with some of the highest detail and richest colors available! If you’re in the market for a G-Sync equipped gaming monitor, you really can’t go wrong with any of the above options. G-Sync enabled monitors to offer you a lag and screen tearing-free gaming experience. With plenty of other features and technologies bundled in, you’ll be getting your money’s worth for sure! If you fancy yourself a true gamer and are seeking the best viewing experience available, get yourself one of these great monitors today!